The Speaker of the Lagos State House of Assembly and Chairman of Conference of Speakers of State Legislatures of Nigeria, Rt. Hon. 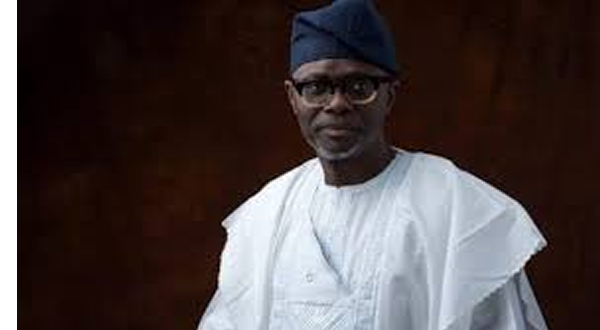 Mudashiru Obasa, has sent a message of congratulation to the state Governor-elect, Babajide Olusola Sanwo-Olu and his Deputy, Dr Kadri Obafemi Hamzat on their victory at the just concluded governorship election in the state. 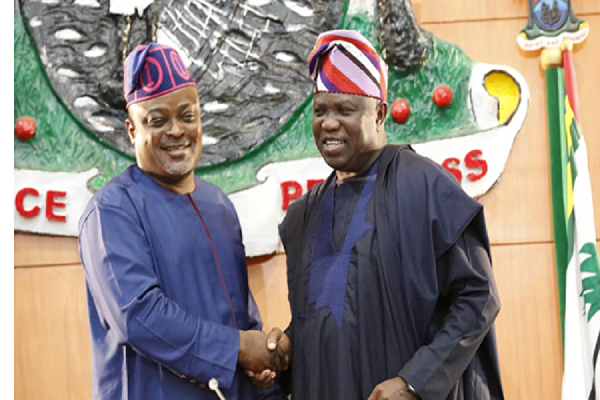 The Lagos Assembly Speaker also felicitated with returning and new members-elect of the state House of Assembly for what he described as “hard-earned but well deseved victory at the polls”. Rt. Hon. 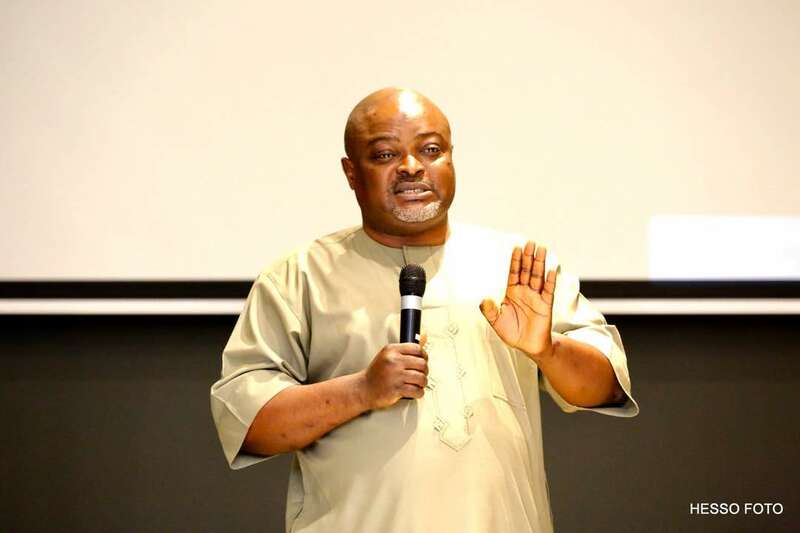 Obasa’s message was contained in a press statement released from his Media Office signed by his Chief Press Secretary, Musbau Rasak on Sunday. “It was tough for us all but at the end of the day, a well deserved victory for all members of the All Progressives Congress (APC), a confirmation of the love Lagosians have for our great party and the giant strides we have been achieving in the state,” he said. The Lagos Assembly Speaker expressed appreciation to Nigerians particularly Lagosians for reposing and renewing their confidence in the APC not only in Lagos State but also at the federal level, assuring that the APC administration at all levels will not disappoint Nigerians. “We are grateful to Nigerians, Lagosians in particular for reposing and renewing their confidence in our great party at the state and federal levels. “We have absolute confidence in President Muhammadu Buhari and the Vice President, Professor Yemi Osinbajo; the Lagos State Governor-elect, Babajide Olusola Sanwo-Olu and his Deputy, Kadri Obafemi Hamzat to deliver the goods and take Nigeria and Lagos State to greater heights. “Therefore, I want to assure Nigerians, particularly Lagosians that the APC administration at all levels will continue to put in place programmes and projects that will enhance your welfare and improve your standard of living,” he said. The Speaker of the Lagos State House of Assembly, Rt. Hon. Mudashiru Obasa has been re-elected to represent Agege State Constituency 1 in the state Assembly. Equally, colleague from Agege Constituency 2, Hon Oluyinka Ogundimu was returned to the House to represent the constituency. 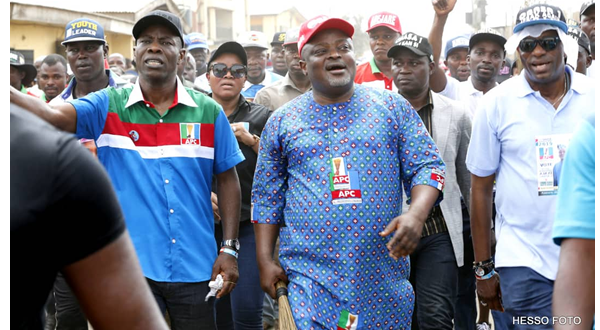 Both Obasa and Ogundimu were elected on the platform of the All Progressives Congress (APC). Annoucing the result at the Independent National Electoral Commission (INEC) collation centre in Agege, the Returning Officer for Agege Constituency 1, Professor Saibu Olufemi Muibi of the University of Lagos stated that Rt. Hon Obasa scored 17,665 votes to beat his closest rival from the Peoples Democratic Party (PDP), Auwalu Taure Maude who scored 4,743 votes. After weeks of waiting and suspense, the Lagos State Governor, Mr. Akinwunmi Ambode on Tuesday presented a budget size of N852.3bn to the state House of Assembly.The Governor who arrived the hallowed chamber at 2:33 p.m. explained that there was reduction in projected revenue of the state which according to him affected the implementation of the 2018 budget estimates.In December 2017, Ambode had presented budget size of N1.046 Trillion for 2018 as opposed to 2019 which is less than a trillion.According to the Governor, the Recurrent Expenditure stood at ₦ 389.560bn while the Capital Expenditure ₦ 462.757bn which represented Capital/Recurrent Ratio of 54:46.Ambode disclosed further “the projected total revenue for Year 2019 is ₦775.231billion, of which ₦606.291billion is expected to be generated internally, ₦168.940billion is expected from Federal Transfers while a total of ₦77.086billion will be sourced through deficit financing within our medium term expenditure framework. The breakdown of the allocations is as follows will be rendered by the Ministry of Budget and Planning and Finance subsequently.”In the outgoing year however, we experienced a reduction in our revenue projections, which affected our projected performance and our desired implementation of the Y2018 Budget. “The overall Budget performance as at November 2018 stood at 60%/₦574,206billion with actual cumulative total revenue of ₦530,192billion/64%, Capital Expenditure closed at ₦311,930billion/49% and Recurrent Expenditure performed at ₦262,276billion/82%.”In preparing the Year 2019 Budget therefore, we were very mindful of the out-going year performance, the yearnings of our people and the fact that we are going into an election year. Consequently, we are today presenting a Budget that will be all-encompassing, reflect the level of resources that will be available and with special consideration to the completion of major on-going projects in the State. He added, ”Our priority on completion of major infrastructure projects and smooth transition to the next administration, we are are happy to propose a Year 2019 budget of ₦852,316,936,483, (852.317billion) including a deficit financing of N77.086bn which is expected to be sourced from internal loans and other sources. “Consequently, the 2019 Budget is projected to consolidate on the economic gains made so far by capitalising on realistic, budget friendly programmes and projects.”In 2019, as was with our previous budgets, Economic Affairs still dominates the sectoral allocation of the proposed budget. This is due to our continued focus on the completion of major on-going projects such as: Oshodi-Murtala Mohammed International Airport Road; Agege Pen Cinema Flyover; Phase II of Aradagun-Iworo -Epeme Road, Oshodi Interchange Terminal; completion of JK Randle Complex, Onikan Stadium; Imota Rice Mill; Renovation/Furnishing of Lagos Revenue House, amongst others in order to meet their specified deliverable outcomes without any bias or prejudice to others,” the Governor said.Earlier, “the last three years I have had the honour of presenting the budget of our State to this Hallowed Chamber and each time, I have come with the enthusiasm and energy to meet our partners in the continuous work for the progress and development of our State. It is with the same enthusiasm that I am here again today to present the year 2019 Budget.”Each time I have come here, we have been accorded a very warm and cordial reception by this Honourable House and for this, we are very grateful. This House has been a solid partner in progress and none of the achievements recorded in our State in the past Three and Half years could have been possible without the support and cooperation of this Eighth Assembly. “Rt. Hon. Speaker, I have been very privileged to have worked with this House and there is no bill we have brought forward that has not been given favourable consideration.”That is the secret of the success of Lagos State; the cooperation between the different arms of government and our unity of purpose to make life better for all our people.”From the inception of this administration, we focused our attention on Nine core Function Groups which are a reflection of our priorities and the needs assessments of the Citizenry. These areas include Security, Transport / Traffic management, Economy – including Tourism and Agriculture, Housing, Education, Health, Infrastructure – Social and Physical, Water, Wealth Creation – Skill Acquisition/Microfinance, E-Governance and Enhanced Capacity Building, Sustainable Environment and Smart City projects,” he said.In his comments, the Speaker of the House of Assembly, Rt. Hon Mudashiru Obasa said that the fallout of the presentation of the 2019 Budget by the state government has led to several insinuations in some quarters.Obasa, who was reacting to the presentation of the 2019 Budget by Governor Akinwunmi Ambode on Tuesday, stated that the fallout of the budget brawl has led to series of negative publications both on social media and in the print media.The Speaker stressed that the publication was being sponsored by “a faceless group calling themselves the Legislative Probity and Accountability (LPA) led by one Olu Fajana with its pseudonym.”He added that this started immediately the misunderstanding between the Executive and Legislative in respect of the Y2019 budget; which he said meant that such could not be ruled out to have emanated from the Executive.”A section of the media has even been mischievously misled into sensationally writing all manners of write-ups against this assembly.”Some of our friends in the media are personalizing the issue thereby misinforming the public. “The fact of the matter is that the issue is between one arm of government and another. What was at stake then was nothing but the matter of appropriation,” Obasa said. Governor Akinwunmi Ambode of Lagos State has been summoned to appear before the Lagos State House of Assembly within one week over the 2019 budget, which has caused disagreement between the two arms of government.It will be recalled that Governor Ambode had sent the 2019 budget to the House in December against the tradition of laying the budget before the House. The Speaker of the House, Rt. Hon. 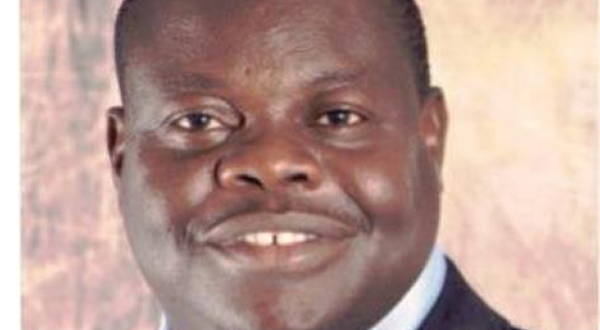 Mudashiru Obasa told the lawmakers that it was important to give the Governor a fair hearing over the issue involving the Governor and the 2019 Budget.Obasa stated that there had been violation of the constitution and infractions on the part of the Governor. “The Attorney General, Finance Commissioner and Commissioner for Budget and Economic Planning that ought to have advised the Governor did not do so.”The most important thing is that we should let the people know that a budget that was yet to be approved was being spent, which was why we could not attend to the Governor on the budget on Monday 21, January. “We must give them a fair hearing to come and explain what happened. “The point has been made that there must be something before the House before you can commence expenditure. We want to call on the Governor to come within a week to explain himself along with the Governor.”We can start gathering signatures for impeachment. We can exercise patience and wait till another time,” he said. The lawmakers had reacted to a report presented by the Deputy Speaker of the House, Hon. Wasiu Eshinlokun-Sanni as the Chairman of the Committee set up to look into the issues surrounding the 2019 budget during a parliamentary meeting of the lawmakers. Members of the Committee included Hon. Moshood Oshun, Chairman, House Committee on Public Accounts (State), Hon. Moshood Oshun, Chairman, House Committee on Budget and Economic Planning, Hon. Gbolahan Yishawu, Chairman, House Committee on the Environment, Hon. Dayo Saka-Fafunmi and the Chairman, House Committee on Works and Infrastructure, Hon. Abiodun Tobun.Eshinlokun revealed that the committee met with relevant commissioners and heads of agencies. The Deputy Speaker stated that the committee met with the Commissioner For Budget and Economic Planning, Hon. Segun Banjo, who said that no money had been spent in the year.He said that the Accountant General told the committee that warrant had been issued that they could spend up to 25% of the preceding budget before the approval of that of the new year.He said that they would have to make a recourse to the House if they wanted to spend up to N200 Million.”We pointed out that the Governor ought to lay the budget of the New Year before December 31st, 2018, but that so far the budget was yet to be laid, which was on January 23, 2019. “We asked them to bring out the law that allowed them to spend up to 20% of the budget of the preceding year. They could not bring out such law and we said what they did was wrong.”We discovered that people have started receiving alerts and this has a grave implication for the executive. “It is our finding that for smooth running of government, there must be a strict adherent to the constitution and it must not be violated. “We decided to bring the report before the lawmakers for us to take action,” he said.In his comment, Hon. Gbolahan Yishawu revealed that the Committee on Budget discovered during budget review that there were some specific expenditure in the budgets that ought to have been approved by the House over which funds were expended. Yishawu stated that these were misnomers, and that they noticed variation in the expenditure and budget approved. “We had issues of virement and monies being spent without approval. We had cases of items that were not budgeted for being carried out, it shows the executive rewrite the budget at will. “The Constitution states that the State House of Assembly must approve all expenditures,” he added. According to him, contracts are shutting down, things are being slowed down by the government. He said that it was as if the executive was tired and that the people were complaining. “It is as if nothing is happening in the state now. Breach of the constitution and gross misconduct are being committed here, and the punishment is clear. “We should begin an impeachment process if need be if the executive does not retrace their steps,” he said. This was corroborated by Hon. Tunde Braimoh, who said that the revelation by the committee that considered the matter was of serious concern.He stated that they all swore to uphold the tenets of the constitution of Nigeria. He added that Sections 120 and 121 explained the roles of each arm of government when it comes to financial expenditure. “If we continue like this, it means we are moving on the ebb of destruction. The issue of gross misconduct should be closely looked into and necessary sanctions applied,” he said. This was supported by Hon. Bisi Yusuf, who pointed out that the Governor is an accountant, and that he was an Acting Auditor General in 2001 and was confirmed in 2005. “With his level of exposure, the Governor cannot claim ignorance. He is being surrounded by intellectuals, so they ought to have advised him including the Deputy Governor and the Commissioner for Budget and Economic Planning. The Attorney General ought to have been removed for quoting a law that does not exist. “All those, who are given the Governor bad advice should be removed. “In the whole of Lagos, things have shut down. This is an offence that is not pardonable. I want to say this is an impeachable offence for the Governor and the commissioners,” he said. Also, Hon. Rotimi Olowo said that rewriting of the Budget is an impeachable offence, and that the Government had been shut down and Lagos roads were in a sorry state. Olowo added that there must be continuity of projects in the budget and that this was not followed. He added that borrowing without informing the house was impeachable, and that if the Governor was tired, he should resign from office. In his contribution. Hon. Moshood Oshun stated that, When someone applied for a job, he could leave if he was tired. “The budget is a law, when we pass a budget, they rewrite their own. “What they are saying is that they are above the law. “If you go to Alausa today, all the MDAs are shut down. All their files are with the Governor and he did not work on them,” he said. Also contributing, Hon. Funmilayo Tejuoso said that the lawmakers were the voice of the people of Lagos State and that they perform oversight functions to ensure that the Government did the best for the people. Tejuoso said; “Accountability is not being done here. Section 121 of the Nigerian Constitution made it clear that the appropriation bill should be laid before the house. “Section 122 of the constitution states that if that has been done, you can now spend 25% of the budget estimate for a period of six months. “We need to forward the infractions to the Governor. The tax payers should know what their money is being spent on. The Majority Leader of the House, Hon. Sanai Agunbiade stated that there are three arms of government of which the executive is one. Agunbiade said that the Lagos State Government was still running and not shut down. “What we want to do is to ensure that the infractions from one arm of the government does not affect another. “It is clear that the budget has not been presented before the House. “My colleagues have addressed all the issues. We should let the public know that we do not have the budget before the House,” he said.The Majority Leader emphasized that the Commissioners, who were approved by the House and are working with the Governor should have vote of no confidence passed on them based on their roles on the budget impasse, adding that they had failed in their responsibilities. He then urged the Governor to resign or the House should begin an impeachment process against him. Efforts are being made by the All Progressives Congress (APC)-led government in Lagos State to reduce unemployment rate in Apapa area of the state. According to the lawmaker representing Apapa Constituency 2 in the State House of Assembly, Hon. Olumuyiwa Jimoh, the teeming youths in the constituency need jobs so that they could be more useful to themselves and the society. He stressed that the most important needs of his people is unemployment and that the government would continue to tackle this by training and retraining the people. Speaking to journalists during a visit to the people of the area on Monday January 14, 2019, Hon. Jimoh added that he would continue to do his best as a representative of the people of the constituency. Jimoh, who is seeking a reelection into the assembly in the 2019 general elections under the APC, stated that Lagos as a megacity deserves good representations so that it could continue to develop with time. “Government’s work cannot finish. I want to continue to serve my people and make life better for them. This is a normal constituency visit to see our people and you can see the joy in them. “They would continue to enjoy what we have been giving them, and enjoy the dividends of democracy under my representation. “I want to tell you that some of them are staff of the Lagos State Neighbourhood Safety Corps (LNSC), which is a product of one of our laws. “The issue of state police is also what everybody wants, and we will continue to make laws that would help the people,” he said. The lawmaker however, urged the electorates to vote for President Muhammadu Buhari, APC Governorship candidates across the country, the party’s governorship candidate in Lagos State, Mr. Babajide Sanwoolu, senatorial candidates of the party, its candidates for the Federal House of Representatives and the party’s candidates for states houses of assembly. Hon. Olumuyiwa Jimoh had earlier distributed notebooks to pupils of some primary schools in the area as a way of reaching out to the people. Meanwhile, the party’s andidate for Apapa Federal Constituency for the House of Representatives, Hon. Mufutau Egberongbe has vowed to engage the Federal Government on the perennial Apapa gridlock. Egberongbe, a two-term member of the Lagos State House of Assembly made this vow at the same event. The politician stated that if he emerged winner of the 2019 elections to represent the constituency at the federal parliament, concerted effort would be made to end the nightmare of gridlock in the area. “Mainly, the job of a legislator is representation and to make laws for the betterment of one’s immediate society, the state at large and Nigeria in general. “As a legislator at the green chamber, the focus mainly will be the gridlock in Apapa. This has been a problem. I have raised that and challenged that fronttaly at as a member of the state House of Assembly. “The tank farms need to be regulated, and they need to be relocated to allow the people live a more comfortable and abundant life, ” he said. According to him, the tank farms must be moved to where they were meant to be situated somewhere in Ibeju-Lekki based on the masterplan of the state. Egberongbe added that there was need to support the Federal Government on the rejuvenation of rail lines to ease movement of goods from the Apapa port. He said that the waterways must also be rejuvenated along railway through Public Private Partnerships (PPP), saying that the government must create an enabling environment for this to happen. The former lawmaker said that he would raise motions and sponsor bills on the challenges facing the area to better the lives of the people. “I will be joining hands with the progressive elements in the Green Chamber to make these possible,” the candidate added. On the environment, Egberongbe said that he would also tackle issues of environmental degradation, carnal blockage, and pollutions in the NASS. The candidate, who urged the electorates to vote the APC as the only party of integrity, advised the youth to shun all forms of violence. He said that the electioneering processes and elections were not about thuggery, but about installing the desired change to better the lot of the society. Also speaking, the Executive Chairman of Apapa Iganmu LCDA, Hon. Funmilayo Akande-Mohammed expressed satisfaction with the large turnout of members of the party, describing this as an indication that the APC would win the 2019 elections. Scores of party leaders and faithful were in attendance at the event. The Lagos State House of Assembly has concluded arrangement to strengthen the Audit Law in the state. Speaking during a day public hearing on A Law to Amend the Lagos State Audit Law on Friday, Speaker of the House, Rt. Hon. Mudashiru Obasa said that a government must be transparent. Obasa, who was represented at the event by the Majority Leader, Hon. Sanai Agunbiade said that the government needed to generate revenue to serve the people and that government’s money must be spent for the purposes it is meant for. “The Audit Department is very important and we must continue to make it functional and effective. The central internal audit is domiciled in Public Finance Management Law. “The Bill seeks to amend 23 Sections of the law, take it to Audit Service Commission and bring all the auditors under one umbrella to exclude the control of Central Internal Audit from the Ministry of Finance. “It is to extend the application of the audit law to local government audit commission. “It is also to take care of little lapses in the law and strengthen our audit system in the state,” he said. In his welcome address, Chairman of the House Committee on Public Accounts, Hon. Moshood Oshun said that the amendment was necessary. Hon. Oshun added that the auditors, who he said were the state police, serve as checks and balances on the state’s budget. The lawmaker stated that the auditors monitor the state’s expenditures, and commended the Auditor General of the state for what she has been doing. Oshun promised that the House would do its best and do the utmost for the auditors so that the tax payers would have confidence in the government. “We will do everything within our powers for the auditors to give the best so that they can give us a good report, which would be properly treated. “I want to appeal to the auditors to do the best within their ability so that we can have the Lagos of our dream that can be compared to any state in the world. “You must do everything possible to be the state police on auditing. “We must all contribute objectively to make the bill a better one. You can give us a memo to have a bill that we all can be proud of,” he said. In his contribution, Chairman of the Lagos State Audit Service Commission, Mr. Waliu Abiodun Onibon observed that the original bill was passed in 2010 and not 2015, and that the Permanent Secretary to be appointed should be a chartered accountant by profession, saying that he is in-charge of in-house administration. He suggested that the Chairman of the Commission should also be a professional accountant with cognate experience. The State Auditor General, Mrs. Morenike Helen Deile stated that Public Sector Audit experience must be different from private experience, and that the two of them must have public sector experience. Deile added that the commission would formulate polices, while the audit agencies would implement the policies. “The Auditor General would be appointed on the recommendations of the State Civil Service Commission. Local Government Service Commission has nothing to do with it, it should be Audit Service Commission. “Public financial management is a global framework. We should not repeal the provision in that law,” she said. The Auditor General, who welcomed the amendment stated that it would further empower auditors. She stressed that there was no issue with her staff and that the MDAs have improved. “There are always challenges because nobody wants to be audited. But by and large because of education we are not hostile to them, we are now strategic partners. “The Lagos State Government started electronic financial system years back, but we cannot cut off from paper auditing just like that. “We do electronic auditing of basic agencies that are on the platform. We even train system auditors amongst us and we give reports to the Assembly. We are telling the MDAs to do proper record keeping,” she said. Also speaking, the Chief Executive of the Institute of Internal Auditors, Mr. Humphrey Okorie said that the state was moving closer to international best practise on auditing, and commended the stat for the establishment of Audit Service Commission. Okorie advised that the commission should comprise a chairman and four others with a professional accountant and a professional auditor with 10 years experience. He observed that there was a difference between internal auditing and accounting even if they are related. According to him, an experienced auditor should be appointed as the Permanent Secretary, while there should be a Bureau for Internal Audit Services for the effectiveness of governance system and processes. He added that internal auditors ought to be in various agencies to ensure that the necessary systems work. “The head of Bureau for Internal Audit Services should be appointed by the Governor with cognate experience. “He should not be at the director level. He should be reviewing and maintain services and ensure proper accountability and transparency,” he said. Mrs. Joko Ogundimu from the Lagos State Audit Service Commission, said that he main function of the Audit Service Commission is human resource management of auditors. Ogundimu stated that the government must recruit people with experience in human resource management. “Office of the Auditor General for Lagos State and Local Government should be Office of Auditor General for Lagos State, Local Government, and Internal Audit. People in internal audit should have the appropriate experience. The status of the head of Central Internal Audit must also be a Permanent Secretary,” she said. 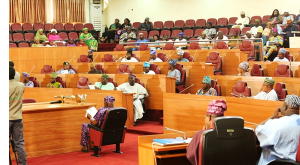 The Lagos State House of Assembly has insisted that Governor Akinwunmi Ambode of the state must appear before it to present the 2019 Budget as required by the law.This followed the information read on the floor of the House by the Clerk, Mr. Azeez Sanni intimating the lawmakers that his office received a message from Governor Akinwunmi Ambode dated Monday 17 December, 2018, but which he received on Friday 28th December containing the 2019 Budget. However, the Speaker of the House, Rt. Hon. Mudashiru Obasa, who commended the lawmakers for their reaction to the message, stated that this was not the time for resentment, acrimony and agitation, adding that the stake before the lawmakers was beyond 2019. “We must do everything to sustain our government, party and the state. You have all shed light on the issue in a matured matter. “We went on break on 18th December, 2018. The first call I received on the budget was on 24th December that the Governor was willing to present the budget on that day. “We normally go on break for six weeks, but we went on break for two weeks as we were waiting for the budget. “Also, we received the budget on 28th December, when we were waiting for the New Year break. 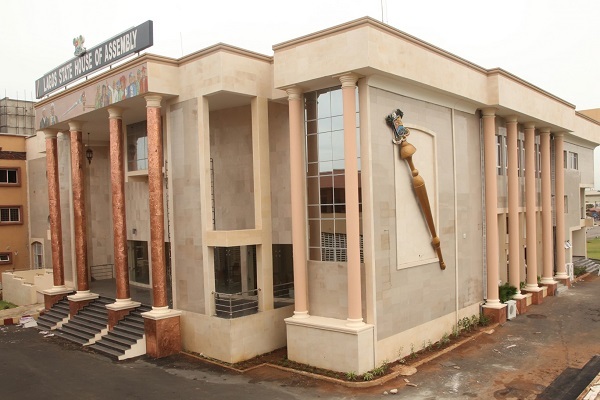 “There is no reason to shift the blame on the House that we were not willing to receive the budget,” he said.Obasa added that the lawmakers were willing to receive the 2019 budget, saying that this was one of the reasons they were elected into office.The Speaker however, said that this must be done properly by the Governor in accordance with the Section 121 of the Nigerian Constitution that he said states that the budget must be presented to the House before the end of a financial year.”We are ready to receive the budget if it is done properly. We have no resentment, we have no bad blood. “Our stake is beyond 2019. What we have here is not even a letter, it is presentation of budget by the Governor. “The executive headed by the Governor must be ready to present the budget and we are ready to receive it,” he said.In his contribution, Hon. Yinka Ogundimu (Agege 2) said that the letter on 2019 Budget from the Governor got to the House on 17th December, 2018 and was received on Friday 28th, December, 2018.”We normally close early, but we closed late to receive the budget, it came about three days to the New Year and there was nothing we could have done. “The House normally have a date with the Governor, when he would present the budget. This is a clear departure from the norm and I think this should be addressed by all,” he said. Also contributing to the matter, Hon. Olanrewaju Ogunyemi (Ojo 2) stated that he listened to the Clerk of the House about the correspondence from the Governor, which he said ought to have been read out. Ogunyemi said that if it was the actual budget, then they would excuse the Clerk for not reading it. He emphasized that the budget got to the House three days away from the New Year, which he said was unusual. According to him, the second reading of the budget could not come until January, 2019, and that the House was alive to its responsibility.In his comments, Hon. Dayo Saka-Fafunmi (Ifako-Ijaiye 1) said that the observation raised by Hon. Yinka Ogundimu was apt, and that the budget was part of the reasons they were elected into the House.”The first reading of the budget ought to be done by the Governor, who ought to lay the estimate before us. Since this has not been done, then we must insist on the proper procedure,” he said.This was corroborated by Hon. Moshood Osun (Lagos Mainland 2), who read Section 121 of the Nigerian Constitution, which addresses the issue of budget presentation to the lawmakers.Oshun said that it was on record that the House normally passed the budget before the next financial year.He said: “If the budget was brought on 28th December, there was no way we could work on it. The leadership of the House should take it up,” he said.The Majority Leader of the House, Hon. Sanai Agunbiade, who said that the budget issue was in public domain, revealed that he received several calls on the issue, but that he did not make any comment because he wanted to get proper information from the House on it.”It is clear that we were ready to work on the budget before the Christmas break, but we could not work on it because we did not get it in time. “We all know that there were always bilateral meetings between the executive and the legislature before the budget is presented to the House. “The constitution states that the Governor should lay the budget before the House. May be the correspondence before the Clerk is about the presentation of the budget. “So, what is before the House is a document that ought to be laid before the House and the committees of the House would sit on it. “The report could not be considered by the committees if it is not laid. “Members of the public may not know the procedure of the budget. “Section 121 of the Nigerian Constitution states that the budget must be laid before the House before the end of a financial year. “We should handle it in our usual family way and ensure that the executive does the normal thing as we are ready to do our work,” he said.The House then adjourned sitting to Tuesday 15 January, 2019.